Comparative anatomical analysis of vegetative organs has been conducted on Artemisia campestris L., A. absinthium L., A. arborescens L., A. judaica L. and A. herba-alba Asso, using light microscopy, in order to examine the most important anatomical features and to find new valid taxonomic characters. Results have shown that general root, stem and leaf anatomical features and nonglandular and glandular trichomes are shared by all species. However, some characters (parenchyma sheath, which surrounded vascular bundle and extended to both epidermises, subepidermal collenchyma and the absence of secretory canals in the leaves) link together A. absinthium and A. arborescens from the same section. Some characters, as periderm and lignified pith parenchyma cells (A. campestris and A. arborescens), nonendodermal secretory canals in root cortex (A. absinthium and A. judaica) and secretory canals in the leaf phloem (A. judaica and A. herba-alba), connect species belonging to different sections. Moreover, some characters could be considered as species-specific, nonendodermal secretory canals in the root secondary phloem, triangular leaf shape on the cross section and secretory canals in the leaf parenchyma for A. campestris, secretory canals in the stem pith for A. absinthium, crystals in the pith parenchyma cells for A. arborescens and the absence of root secretory canals for A. herba-alba. 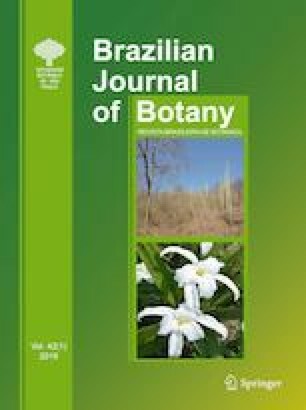 Given results revealed qualitative characters, on the basis of which the studied species are anatomically distinguishable between each other, provide valuable features for better species identification and contribute to the anatomy of the genus Artemisia. The authors thank to the Ministry of Education, Science and Technological Development of the Republic of Serbia for financial support (Grant No. 173029). Also, many thanks to Radenko Radošević, technical associate, from Faculty of Agriculture, University of Belgrade, for technical assistance in anatomical laboratory. PJ, MG and AAG conducted the field work. PJ, MG and DR conducted anatomical analysis. PJ, MG and DR wrote the manuscript. PJ, ZDS and PDM supervised the research and gave comments to the manuscript. All authors read and approved the final version of the manuscript.